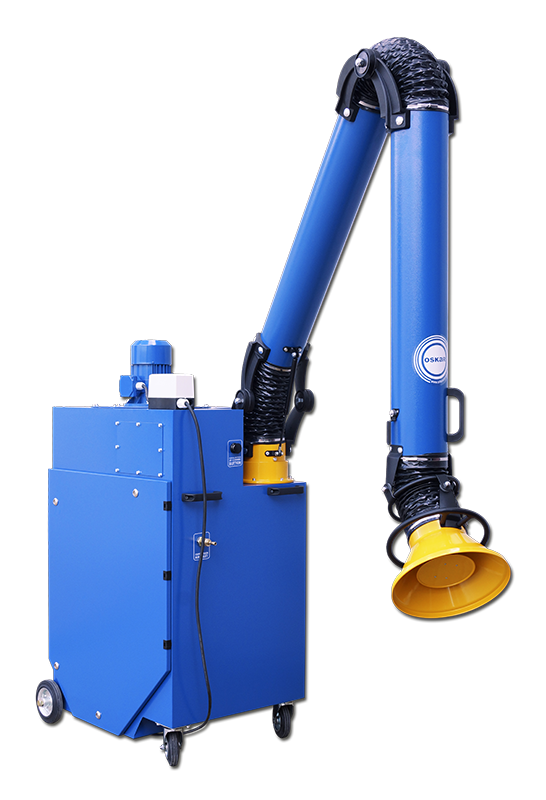 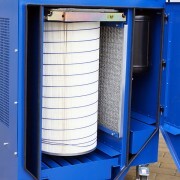 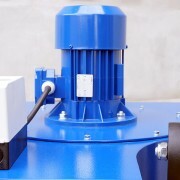 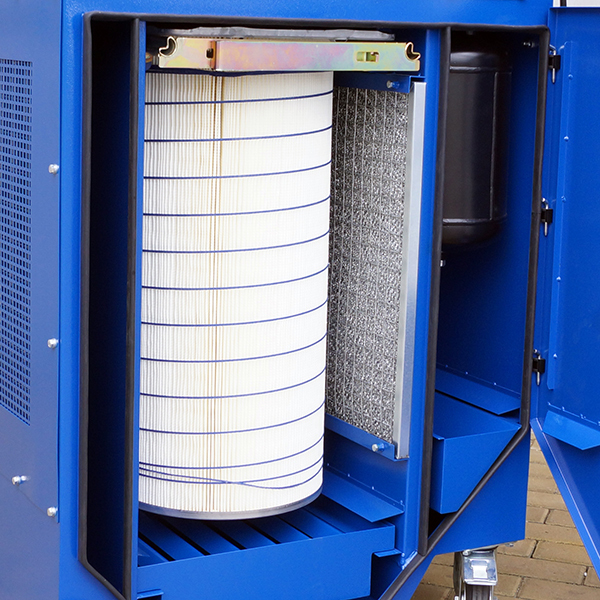 Rollout Mobile Cartridge Filter is designed to exhaust and filter dry air borne pollutants especially at welding, grinding, polishing, cutting of metals and plastics. 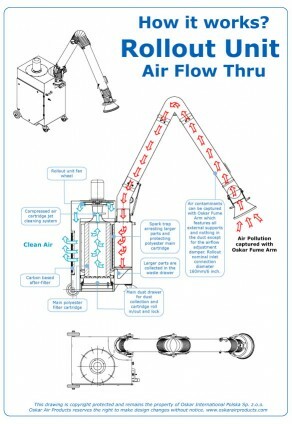 Rollout features 3 stage filtration with metal mesh prefilter (spark-trap), main cartridge filter and outlet activated carbon filter. Standard manual (timer in option) regeneration system is can be used to clean main cartridge during filter operation. 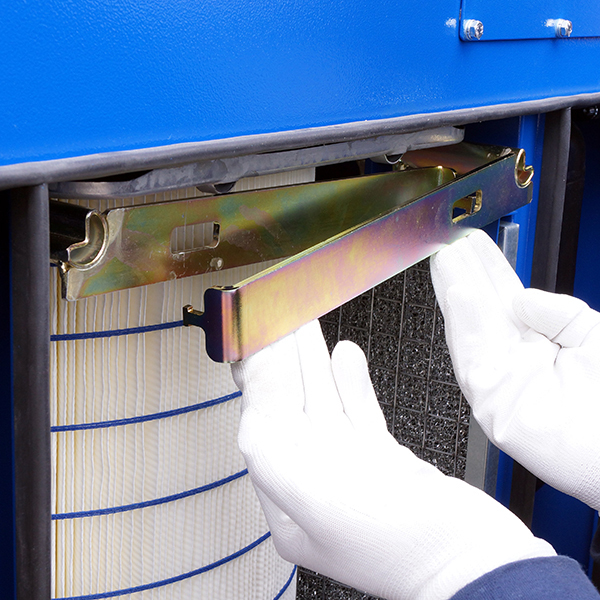 Rollout is advised for most demanding applications where the constant exhaust and filter operation is required. 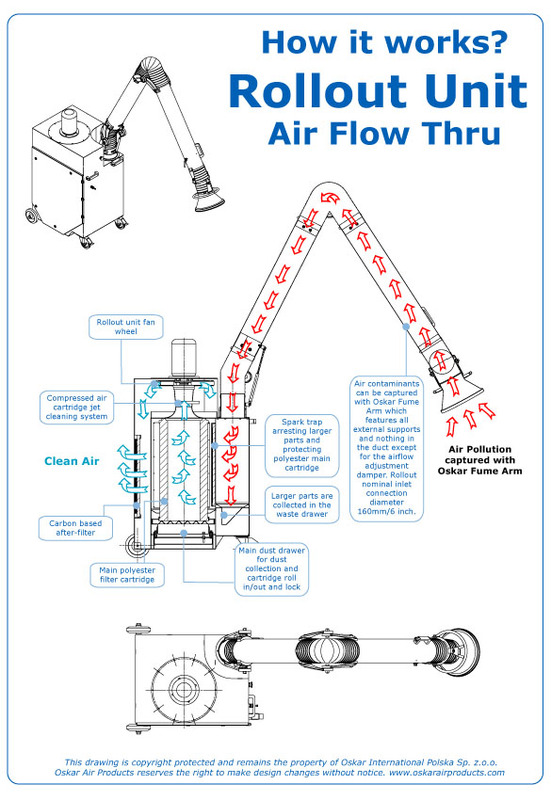 We reco mmend Oskar 160 2 or 3 m models as a at source capture devices with Rollout filters. 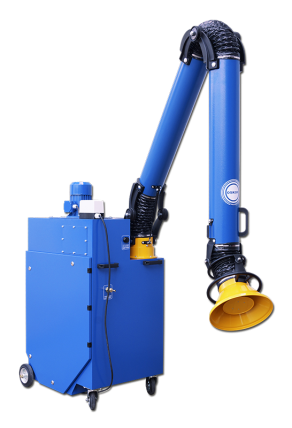 Optional configurations feature LED lights built-in Oskar arm hood as well as photosensor triggered automatic operation.